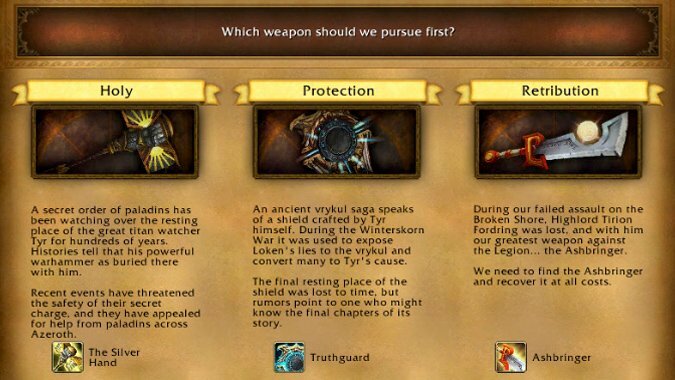 We’ve talked about the Silver Hand’s history in the past, and we’ve taken some close looks at its various artifact traits as well. But how do we actually get our hands on this amazing hammer? How early into Legion do we get it? Is it going to be difficult to acquire? Well, let’s see! 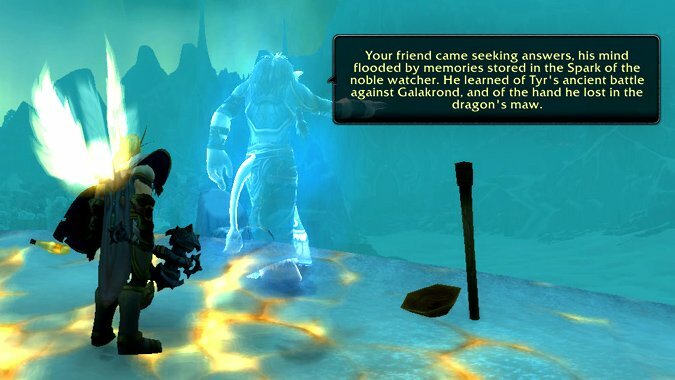 Here’s a detailed look at Legion’s full Silver Hand questline. Obviously, there will be big spoilers after the break! Travard explains that his group — Tyr’s Guard — is a secret order of paladins that for centuries has guarded Tyr’s tomb, as well as his warhammer, the Silver Hand. However, recent intrusions into the tomb has him worried, and he wants to retrieve the artifact before it falls into the wrong hands. Travard needs us to fetch something called the Spark of Tyr from his brother Galford, another Tyr’s Guard paladin. There’s just one catch — Galford is in Dragonblight. 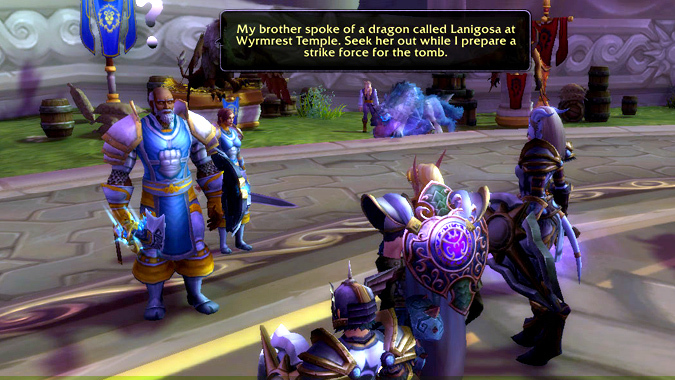 Fortunately, New Dalaran also comes equipped with a new set of portals, and one of them goes right to Wyrmrest Temple, where Galford was seeking information about Tyr. The portals are located in the center of Dalaran, in the Chamber of the Guardian — you have to step onto a blue teleport pad to access them. Once at the temple, a blue dragon named Lanigosa explains that she told Galford about Tyr’s battle with the massive proto-dragon Galakrond, and how Kalecgos once saw Tyr’s severed hand in the boneyard known as Galakrond’s Rest. Galford excitedly went off to investigate, so naturally, we follow. As we retrace Galford’s footsteps, we fight off some minor Void Wraiths, and meet a Friendly Taunka Spirit. (The Spirit is never identified by name, but it is almost certainly Buniq, a taunka woman with multiple Galakrond-related lore appearances.) She tells us that Galford’s findings pointed him toward an old ally of Tyr’s, a titanic watcher named Jotun. What Galford didn’t know is that Jotun had been corrupted by Loken, and when Galford found him, Jotun squashed him flat and took the Spark. Well, we need that Spark, so guess it’s time to beat up a watcher! Lanigosa shows up and lends a claw, making the fight against Jotun relatively painless. Keep hitting him with Holy Shock, Judgment, and Crusader Strike (plus any other offensive talents you picked), remember to heal yourself when needed, and Jotun will crumble fast. We grab the Spark, hitch a ride back to New Dalaran from Lanigosa, and then it’s onto the final step — reclaiming the Silver Hand itself. 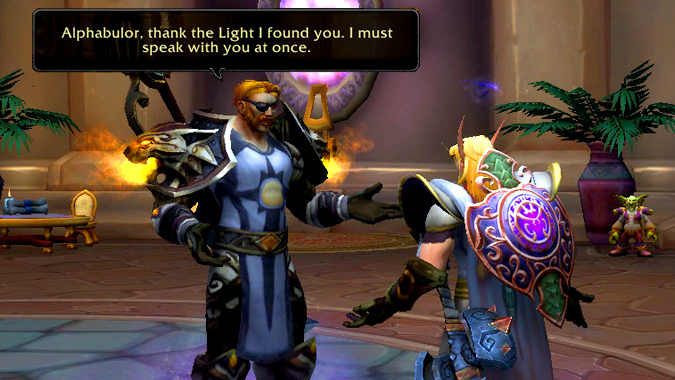 Warning: Until now, I’d felt that Legion’s introductory quests — the Broken Shore, the demon hunter stuff, Karazhan, and even Dragonblight — had all been gently encouraging me to embrace the Holy Paladin “questing” style, where DPSing was more important than healing minor amounts of incoming damage. The Silver Hand scenario is a complete reversal of this — you’re teamed up with friendly NPCs and have to heal them through some fairly substantial damage. I didn’t realize this until I was already there, and since you can only change talents in cities now, I was left with the decision to either fly all the way back to the Undercity or carry on with unsuitable talents — not the end of the world, but definitely annoying. Anyway, change your talents to a full healing build before leaving Dalaran. Travard sends us off to a little camp called Tyr’s Fall way off in Tirisfal Glades, where we meet up with him and the rest of the Tyr’s Guard, plus a few Argent Crusaders on loan from Tyrosus. The fastest way there is to take the Dalaran portal to Dalaran Crater. There’s a goblin by the portal selling gliders to survive the fall for 10 gold apiece, but we can just Divine Shield on the way down. Travard leads the way into the tomb, which is buried under a small lake. Once inside, our job is to heal Travard and two Tyr’s Guard siblings, Duvall and Efrina, as they slice their way through some Faceless Corrupters and their minions. The damage is quite light, so take the opportunity to familiarize yourself with new talents and spells such as Bestow Faith and Light of the Martyr. 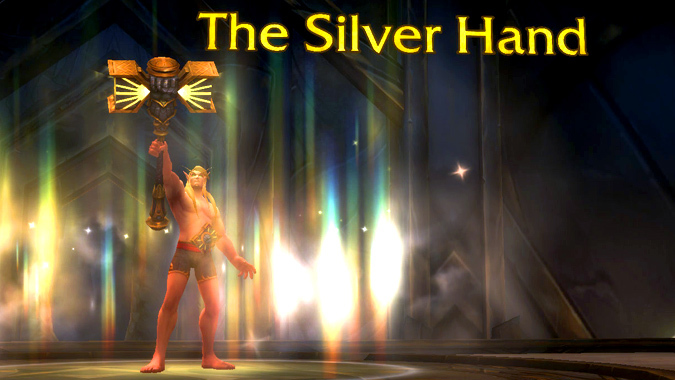 After G’norz falls, the Silver Hand is ours! Except, well, it isn’t. Seems like one of the Sparks is missing, and Travard senses it further below, so down into the depths we go. After a few more packs of Flesh Spawns and Faceless Corruptors, we enter a shattered cavern called the Grave-Prison of Zakajz. Despite the room’s awesome name, Zakajz (a C’Thraxxi servant of Yogg-Saron) itself is not present, and is actually completely unrelated to our quest. Instead, a Horrific Aberration awaits us, and it’s got the last Spark. The Aberration hits pretty hard, so don’t be afraid to pop Avenging Wrath and other cooldowns as needed. Also, be mindful when crossing the bridge leading to the Aberration — you can accidentally plummet off the side to your horrible demise. Travard’s bad day just gets even worse, as Duvall and Efrina are doomed to fall to the Aberration, despite our best efforts. 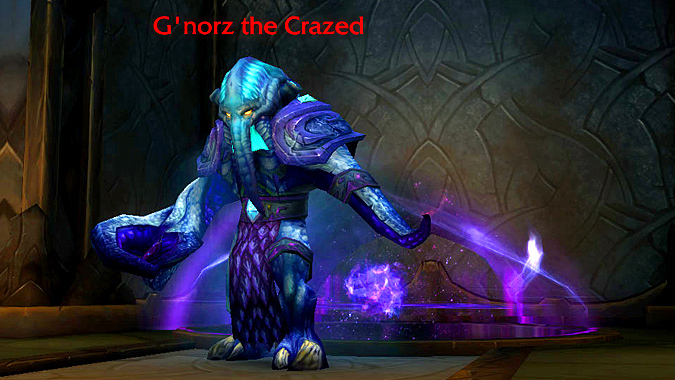 After the Aberration is dead, a huge monster called Mordoth the Hunter starts chasing us back up into the tomb. Along the way, we have to help four incapacitated Argent Crusaders — two need to be healed up, while the other two need to be cleansed. There’s actually no time limit here, so if you want to wait a bit for your cooldowns to refresh before the next encounter (which can be a bit rough), feel free. 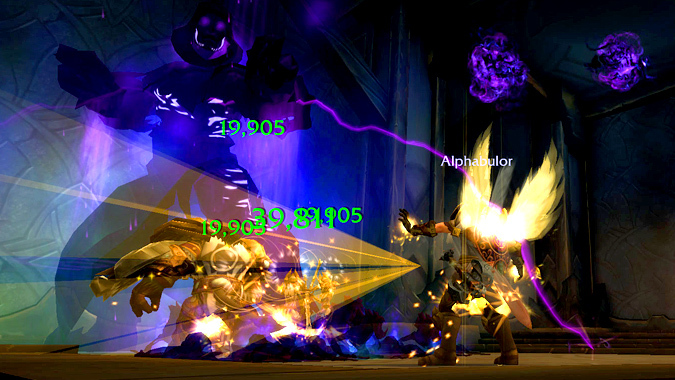 After we help all four paladins, it’s back up to the Silver Hand’s chamber for the final showdown. As Travard begins the ritual to free the Silver Hand, more Faceless Corruptors and Flesh Spawns begin pouring into the room. Thankfully, we don’t have to deal with them alone — four Argent Crusaders join the fight at our side. The damage here isn’t too bad at first, but make sure to save your big cooldowns for when Mordoth joins the fray. Mordoth’s damage is no joke, and it can get pretty hairy, especially if there’s still Flesh Spawns running around munching on people. This is the last fight, so don’t hesitate to use everything at your disposal! We don’t have to kill Mordoth, just survive long enough for Travard to finish the ritual, which also takes Mordoth out. After that, it’s simply a case of grabbing the Silver Hand, then beating a hasty retreat out of the tomb as it collapses. A hippogryph waiting for us back in Travard’s camp conveniently ferries us back to Dalaran, where Tyrosus gives us a congratulatory pat on the back before shipping us off to Light’s Hope Chapel for a funeral and the introduction of our Order Hall. Whew! 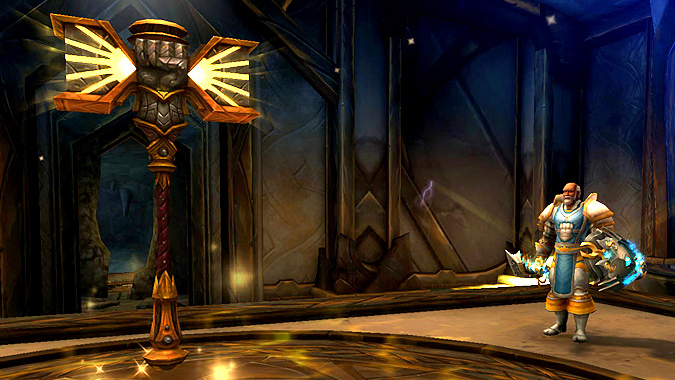 So how was our first Holy Paladin-specific Legendary/Artifact questline? Okay, I guess. The lore with Tyr, Galakrand, and Jotun was interesting, but I felt Tyr’s tomb was a bit lackluster. I like that we got to heal it (rather than muddle through with our mediocre DPS abilities), but I found the healing itself rather uninteresting. 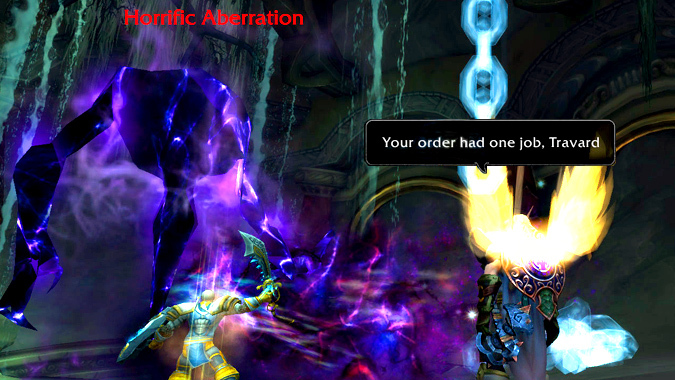 In comparison, the Mists of Pandaria healing scenarios with the cosmic blacksmith and Chi-Ji were far more engaging. 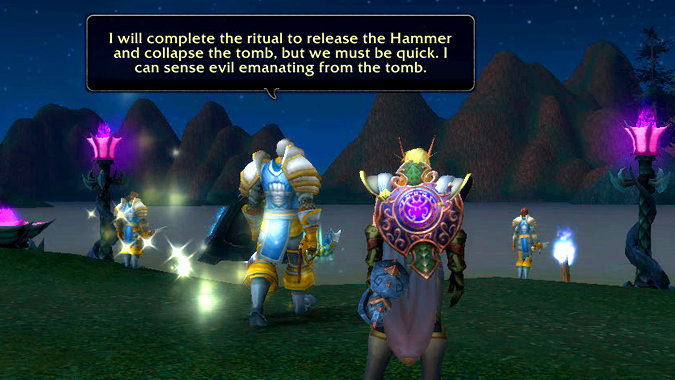 Still, it was fun to do a special questline that’s meant solely for us!